There is so much we love about this newborn session. The soft colors, precious newborn grins, and stunning light. As a newborn photographer, I am so lucky to have the ability to capture these fleeting moments for parents. As a momma, I know just how fast these short moments go. The Florido family session was so much fun and I love the that they included their family pup! 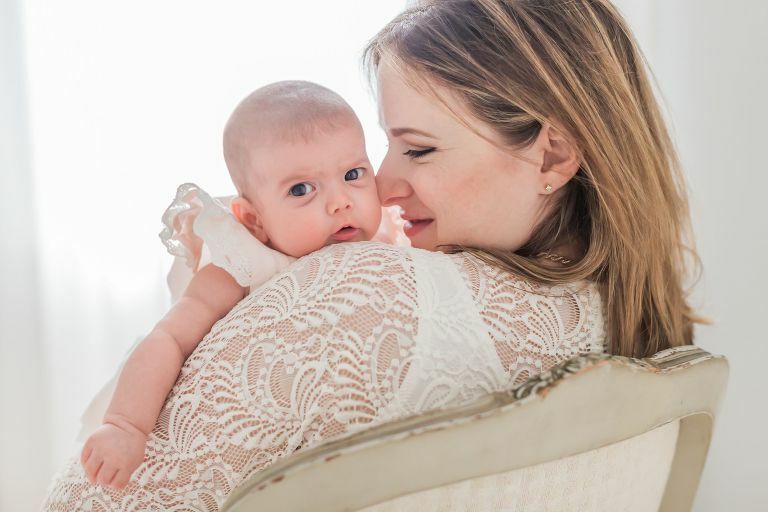 Contact Katrina Barrow Photography today to capture your little one’s latest milestone. Katrina Barrow Photography is a Savannah Newborn Photographer specializing in maternity, newborn, baby and children photography in the Savannah, Georgia area. For more information on a classic portrait session with Katrina Photography, please email hello@kbarrowphotography for pricing regarding session collections and products available. Katrina uses natural light and soft neutral colors to create images that speak emotion and allow the individual to stand out. Her work has been featured by many and published on Lemonade and Lenses, The Fount Collective, Seniorologie, and Motherhood Anthology.